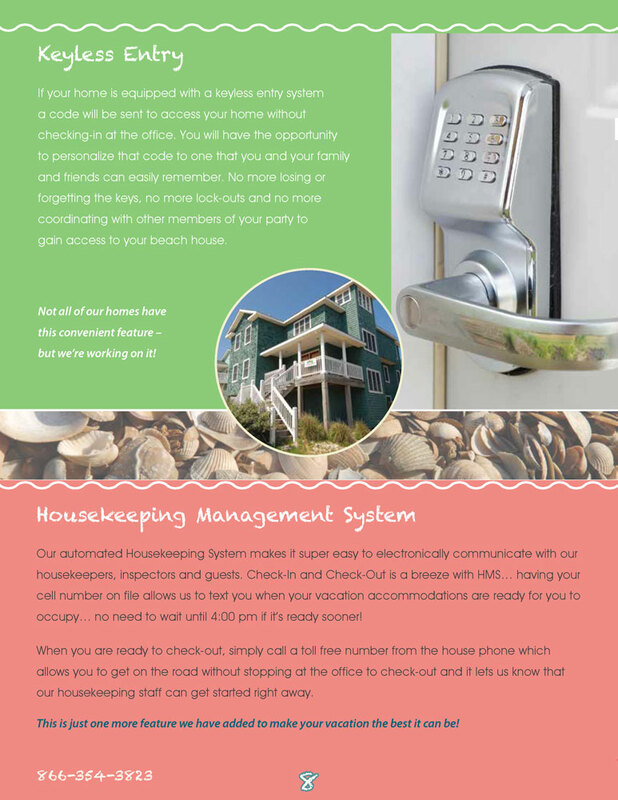 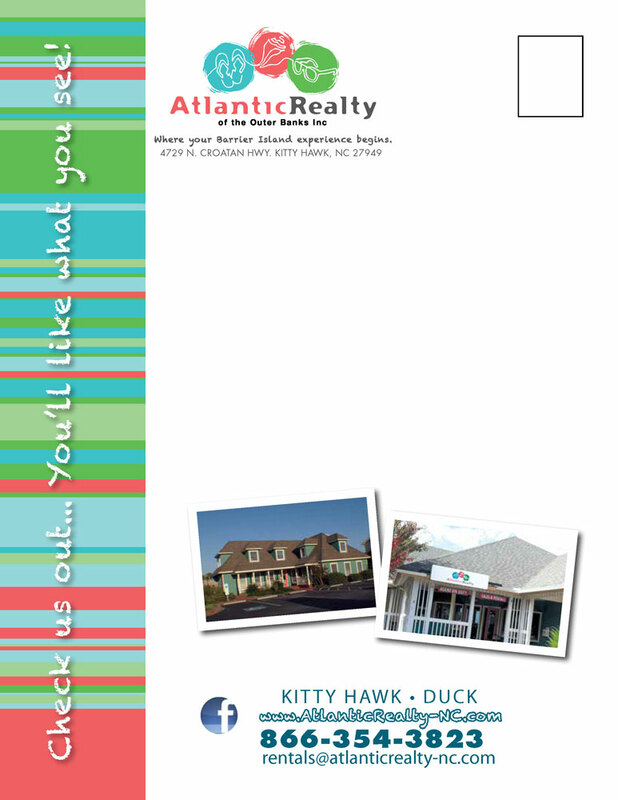 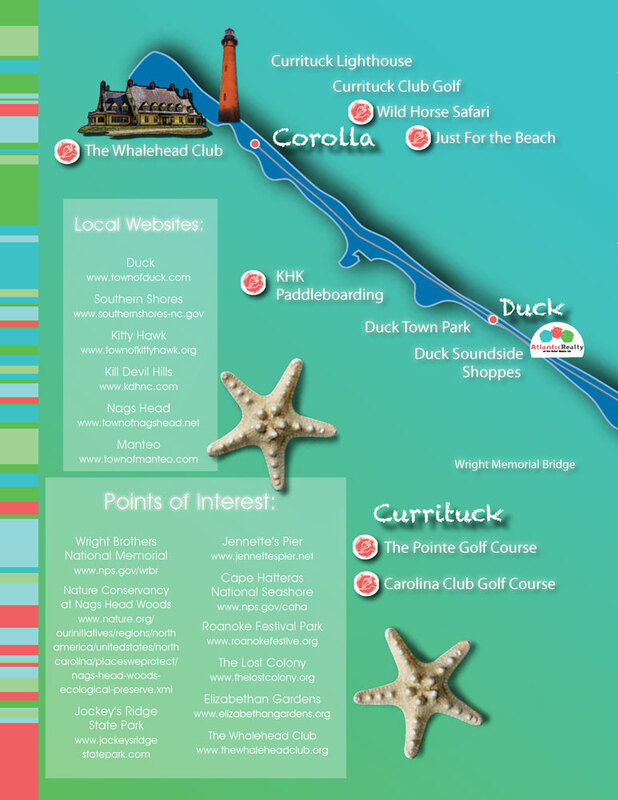 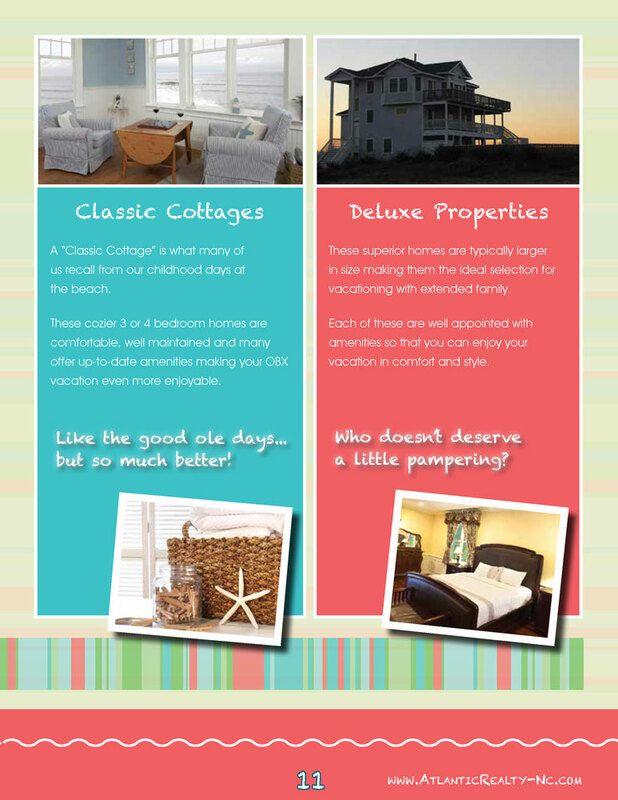 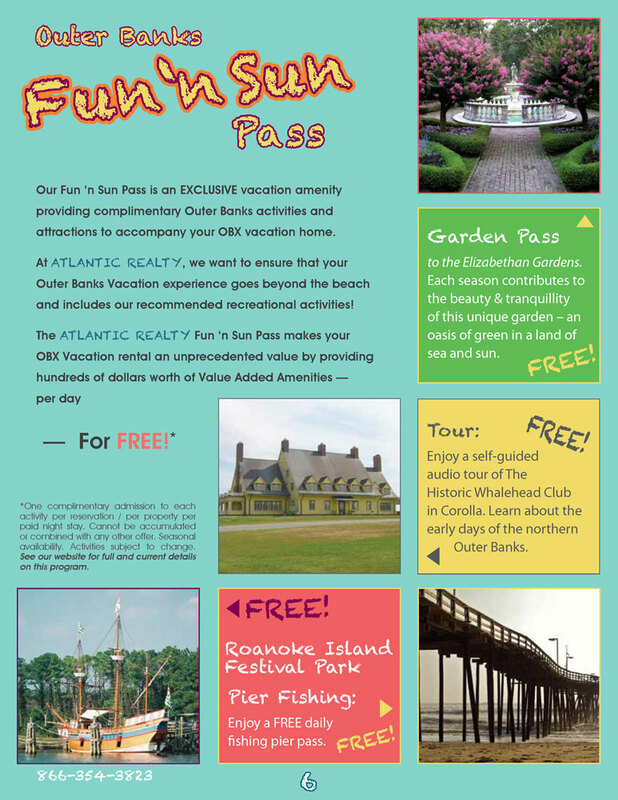 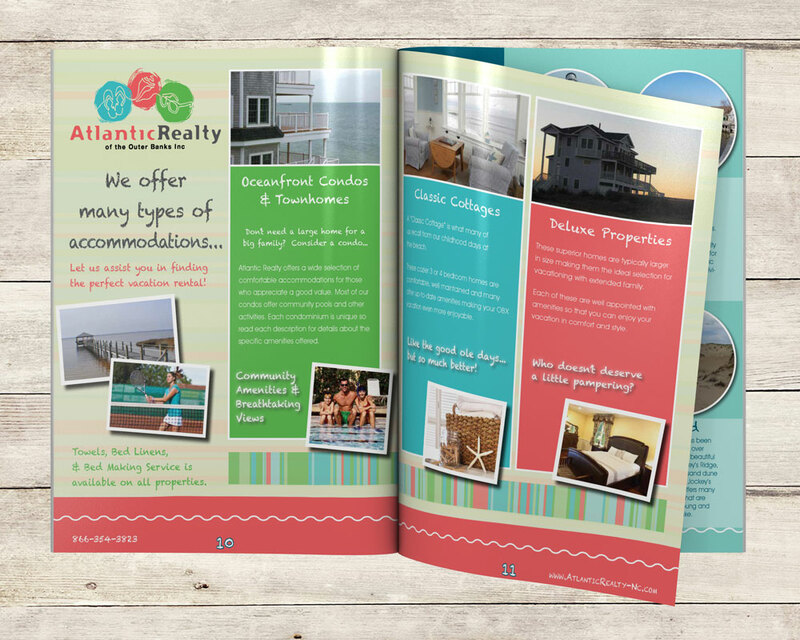 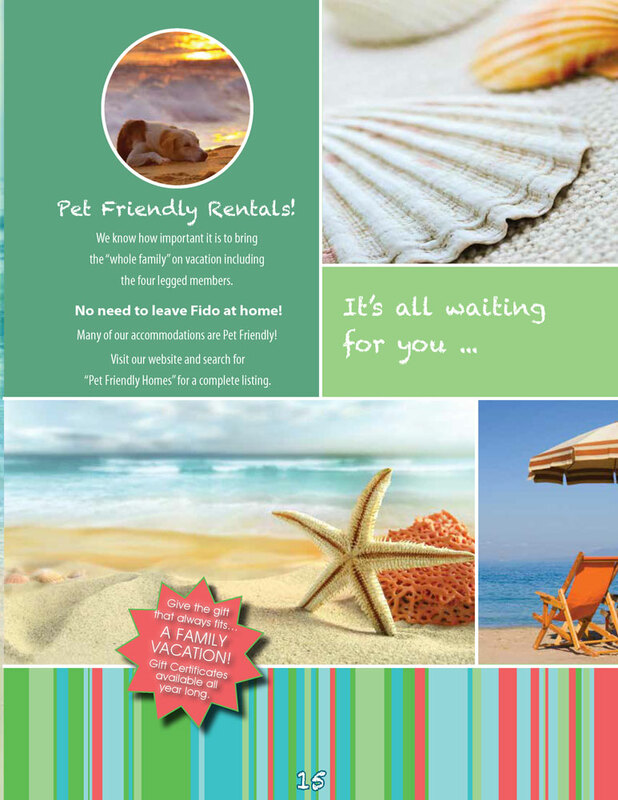 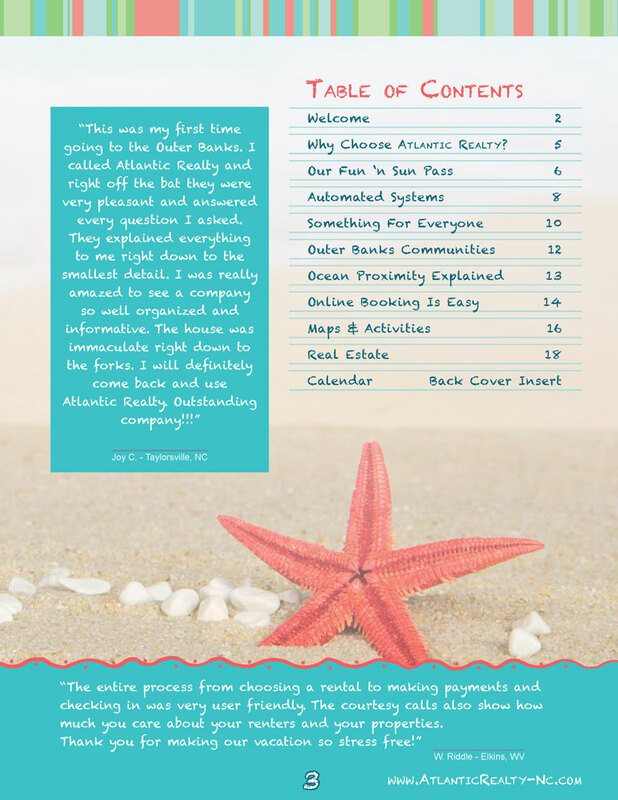 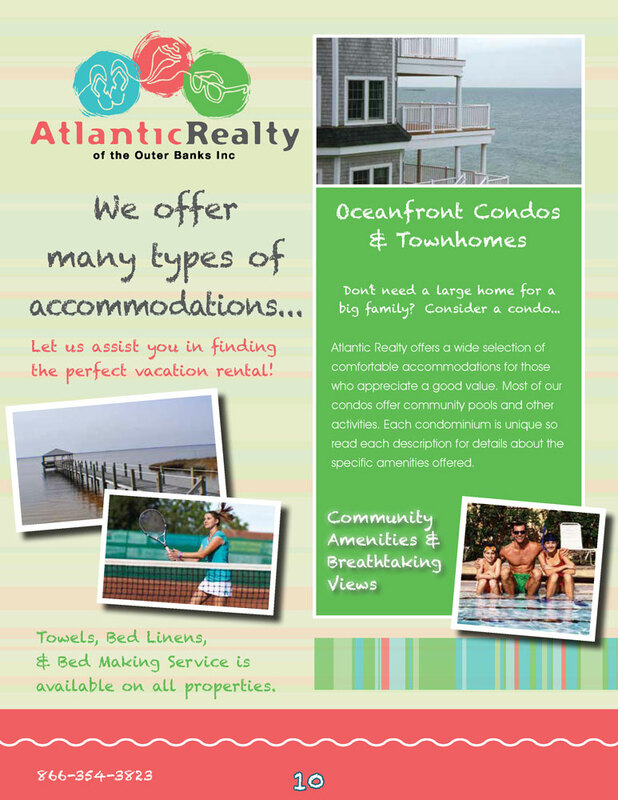 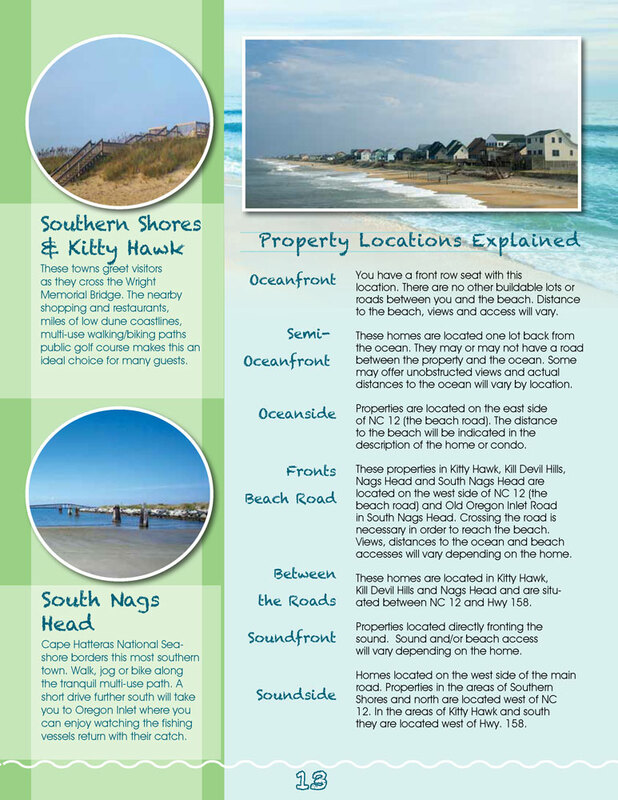 Atlantic Realty on the Outer Banks of North Carolina decided to switch up their rental booklet to more of a vacation planner guide. 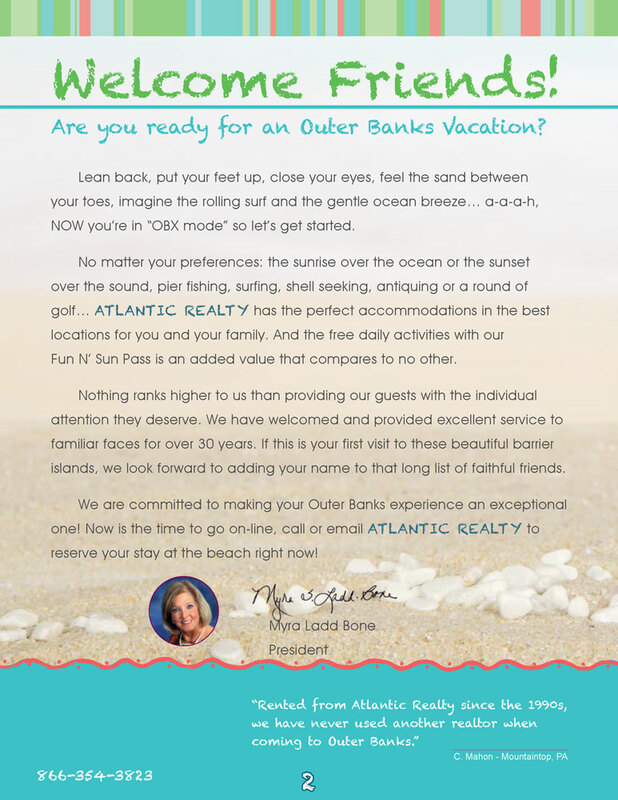 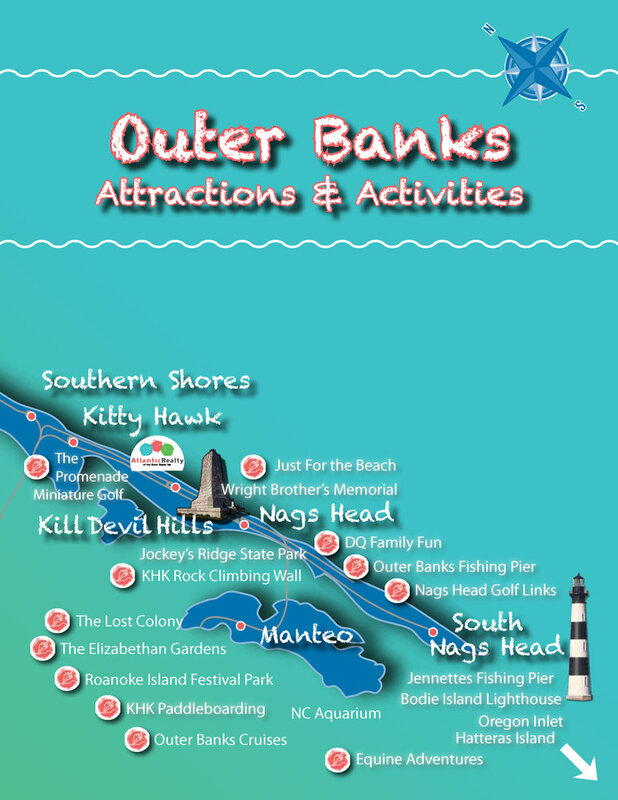 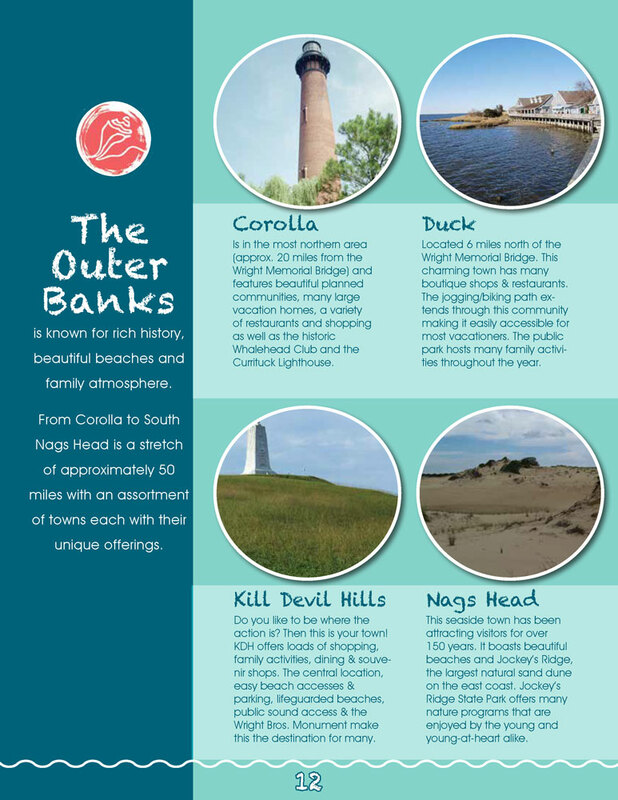 The new book has information about local attractions and events, services and amenities from Atlantic Realty, and some other helpful tips and strategies for planning your best vacation on the Outer Banks. 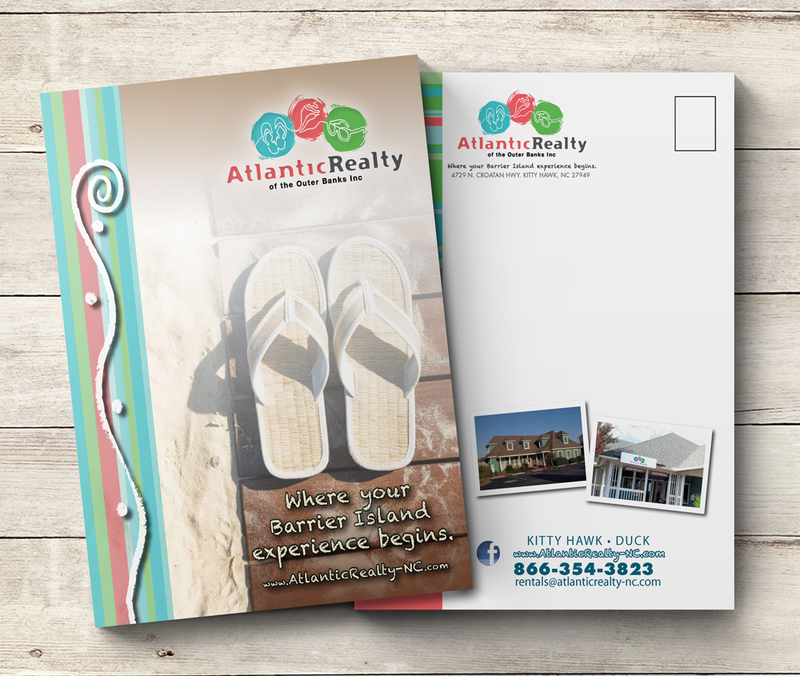 The colorful book continues their theme and branding set by their logo with bright colors and playful images. 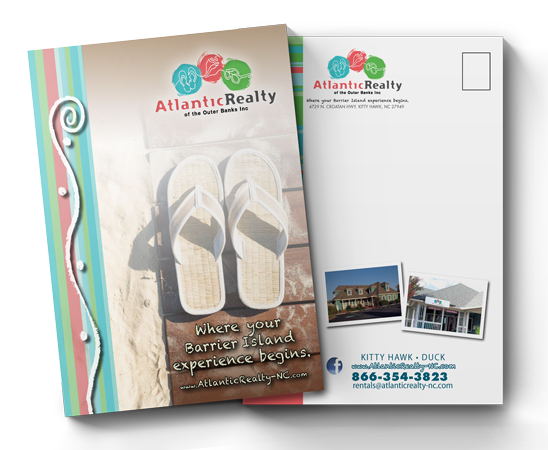 This project features custom illustrations for the location map, local attractions, and other illustrations as needed throughout the brochure.